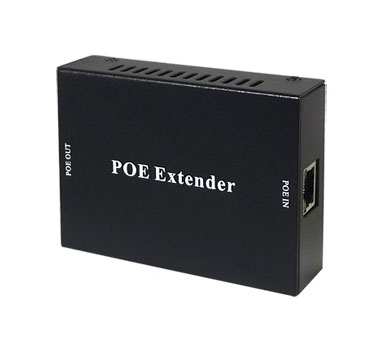 The PoE extender allows you to extend network signals an additional 100m. It is an essential tool when you have a cable run that is going to be longer than the 100m barrier for network data signals. You can even use it in a daisy chain configuration to extend up to several hundred meters. For example, you can use two of these spaced 100m apart and extend a data signal up to 300m. It is compatible for use with our PoE cameras and PoE+ switches.